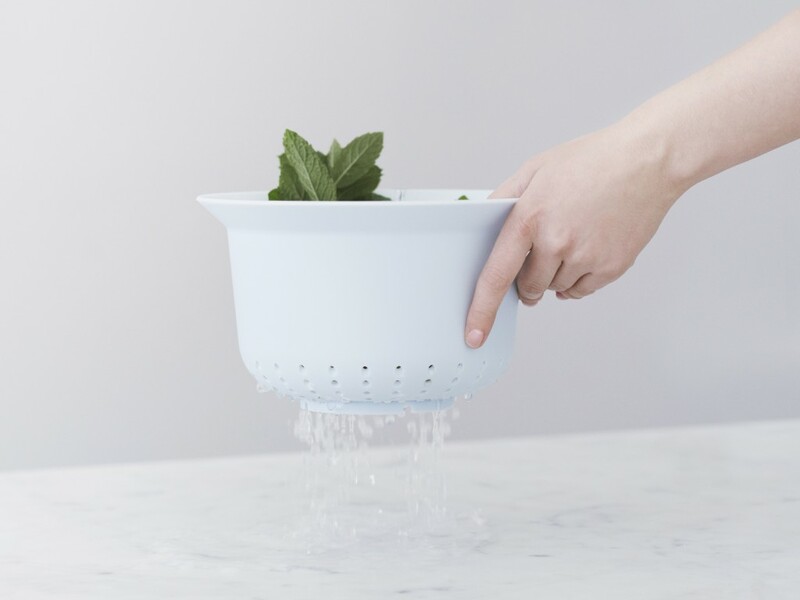 Colander with similarities to the mixing bowl from the same manufacturer, where the familiar edge makes it easy to hold and leaves one hand free for operating the tap. 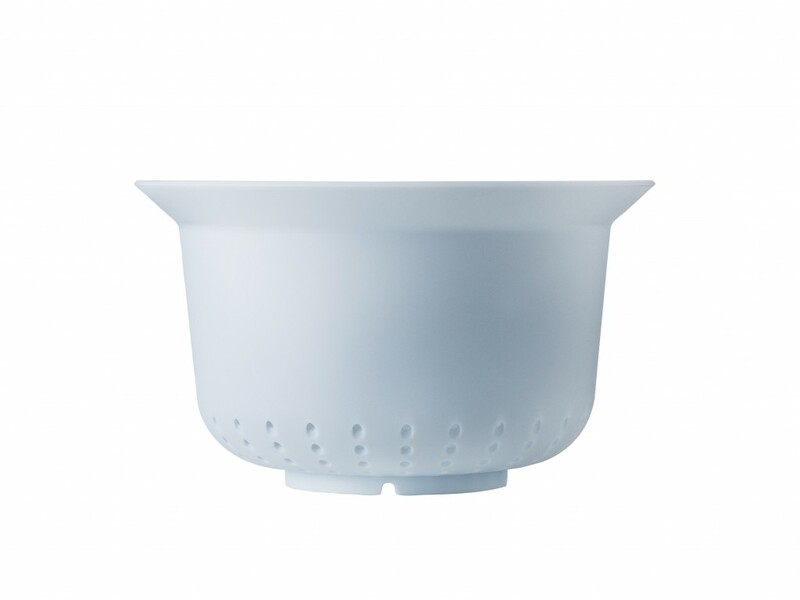 The shape of the base ensures it remains upright and stable if placed in the sink. 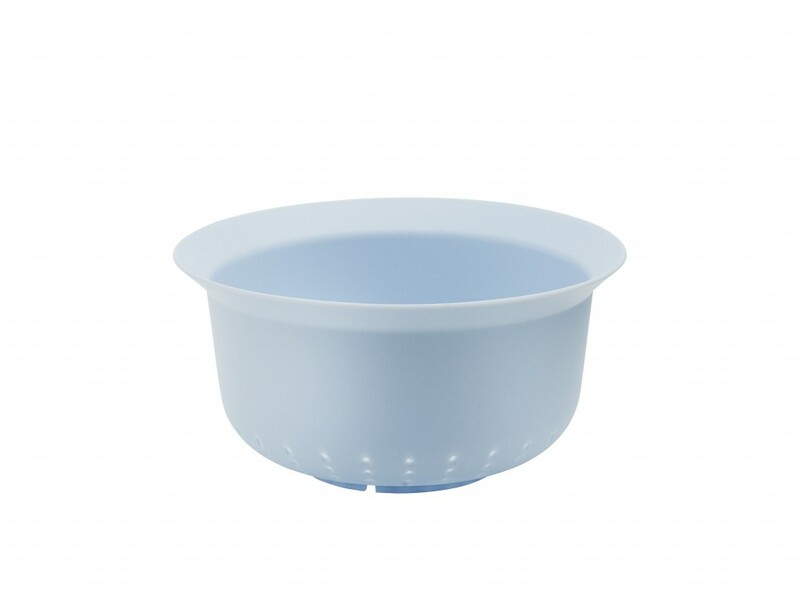 Its vertical drainage holes allow liquids to drain away quickly. Available in two sizes that fits your mixing bowls of 2.5 and 3.5 litre.